In a partnership agreement with Pragmatic Works, SSWUG.ORG’s virtual class is designed to help you understand all aspects of SQL Server 2008 Reporting Services (SSRS), the reporting tool of choice for SQL Server developers. Sherri McDonald, course instructor and support manager for Pragmatic Works, will use a variety of lab exercises and small projects to ensure familiarity in how the design and execution environments work and to help build real-world applications using this SQL Server subsystem. By the end of the course, you will have a firm understanding of all the key concepts of Reporting Services, including basic reporting, parameters, deploying and scheduling. The target audience of this class is developers, architects or IT professionals who have basic SQL skills already, such as being able to run a query inside of SQL Server 2008. This class assumes that you have no previous knowledge of SSRS. In some of the coding modules, it is useful to have some basic Visual Basic experience. Session 1 – Architecture of SSRS – In this session Sherri reviews the Architecture of Reporting Services and highlights what some of the new 2008 and 2008R2 features are. The topic of data warehousing is covered so you understand the importance of it in respect to Reporting Services. You will also learn how to navigate your way around BIDS (Business Intelligence Development Studio) and how to build queries using the Query Designer. Once the query is constructed, you’ll learn how to build your first reports using the Report Wizard with the toolbox items Matrix and Table. Learn how to group your data in the hierarchy it was meant to be in as well as how to format and sum your results. Session 02 – Reports with Parameters – In this session you will learn how to create reports that have Parameters as well as Cascading Parameters. This will allow the end user to decide what results gets displayed in the report. You will also learn where all the XML code is stored for the reports that you are building. Session 03 – Parameter Values – In this session you will also learn how to set Available and Default values for your parameters. You will also learn how to create a query in BIDS that gives you a Drop Down list to allow Multiple Values to be present in your Report. Do you want to take that same query and create Stored Procedure with it? Learn how to do that with a Split Function. Need to know how to sort your columns if they are in Groups? You will get to build a report from scratch and learn how to use the Interactive Sorting options. Session 04 – Using Variables to Create Visually Dynamic Reports – In this session you will learn how to create expressions, Variables and VB code to so your reports are visually dynamic for your end users. For example if you want to alternate your row colors, flag a column if goals are being met or not and learn how to set variables to be used through your report. Session 05 – MDX and DMX Reporting Tools – In this session you will learn how to deploy your Sql Server Analysis Services database (SSAS) and write reports off of it using MDX and stored procedures as well as using DMX for Predictive Analytics. Don’t worry if you don’t know those querying languages because we’ll show you how to use the Query Designer to get the results you need. Session 06 – Dashboard Designs – In this session we cover dashboard designs do’s and don’ts. Do you have SSRS 2008R2? Learn how create reports using the Map object add a hidden table with the Data Bar (R2) that can be viewed by toggling on other items. You will also be able to create reports with Multi-Series axis with different charts overlapping. Session 07 – Reporting Services Configuration Manager – In this session we will learn how to navigate our way around Reporting Services Configuration Manager to get an understanding of what our options are for configurations. We will also be discussing how you access the Report Manager and understanding the Role Assignments for the Users of Report Manager. We are also going to take a look with us on how to set up security in Report Manager for individual reports and the project folder level. Session 08 – BIDS and the Report Manager – In this session we will learn how to configure our Solution in BIDS in order to deploy our reports to the Report Manager. We’ll also talk about deployment of reports to SharePoint at a high level. If you want to set up subscriptions follow along to see how handle the set up of Sql Authenticated accounts. Take a look with us on how to set up email, file share and data driven subscriptions. Session 09 – Reporting Tools – In this session we learn how to deploy individual report parts from the reports we’ve created in BIDS, create report models and develop reports with Report Builder 3.0. Have R2, take that report you created with Report Builder 3.0 and add a report part to it from the Report Parts Gallery. Session 10 – Report Lab #1 – In this session you will take one of the many labs that are provided in addition to the classroom instructional video and build it together. This report is meant for the student of this video who has gone through all sessions to apply what they have learned by creating a nice dashboard report. Session 11 – Report Lab #2 – In this session we will be building a report with two data sets using the R2 feature, Map, Map Layers and Spatial Data. Learn how to use the Bubble Map option, Parameter and alter the properties that are available in the Map. 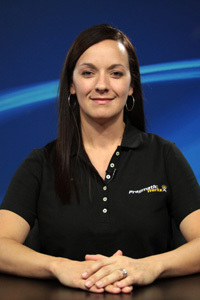 Sherri McDonald is the Support Manager for Pragmatic Works. She has served in many roles in more than 14 years in the service industry. Sherri is an active blogger on BIDN, a member of the Jacksonville SQL Server User’s Group and has presented at SQL Saturday events across Florida. When not working, Sherri likes to juggle axes and machete’s while balancing on a thin wire 200’ above hungry alligators with no safety harness.